The Flymo Easy Glide 330, is a lightweight, easy to use electric hover mower. Comes with a 29 litre grass collection box, ideal for small to medium sized garden areas. The Flymo Easy Glide 330, is a lightweight, easy to use electric hover mower. 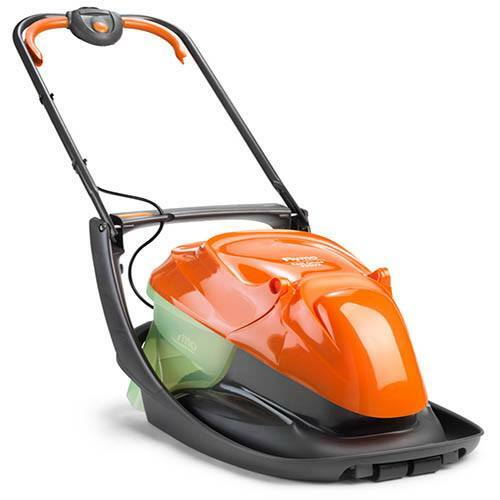 Powered by a 1450 watt motor, with a 33cm metal cutting blade, adjustable to 4 heights ranging from 10mm - 32mm and comes with a 20 litre grass collection box, ideal for small to medium sized garden areas. 33cm (13 Inch) Metal Blade.